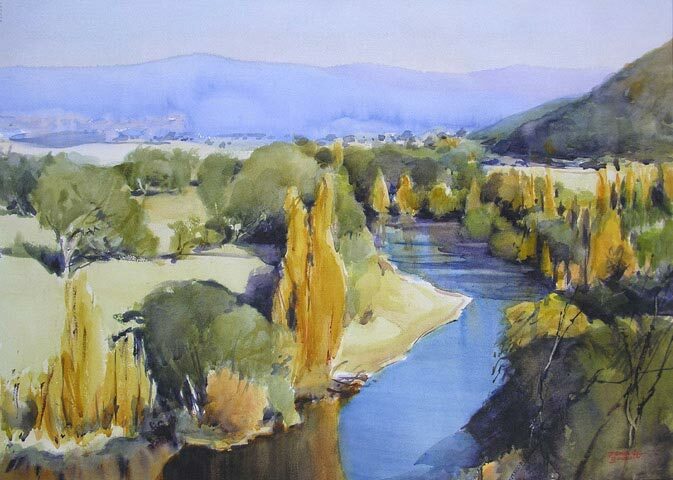 James Boissett is a representational Watercolour artist, painting in a traditional style with inspirations from influential painters Harold Herbert, John Singer Sargent, and Arthur Streeton. 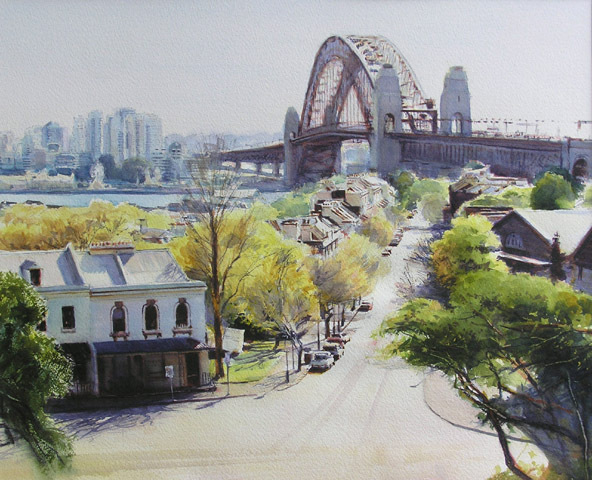 His works have won numerous awards and can be found in Private and Corporate collections in Australia and overseas. With a constant stream of humanity, people in a cityscape add a suggestion of purpose to the buildings. Crowds of city workers provide meaning to a canvas of city life, frenetic abstracted forms and shapes guided and channelled by streets and towering buildings. An adventure of discovery, the rich tapestry and colour of the Australian landscape inspires me. With its rugged beauty, I am always inspired by the unfolding landscape peppered with its towns and communities. Country New South Wales and its rustic appeal have always interested me. I am always inspired by the city at night and the play of light and darkness. 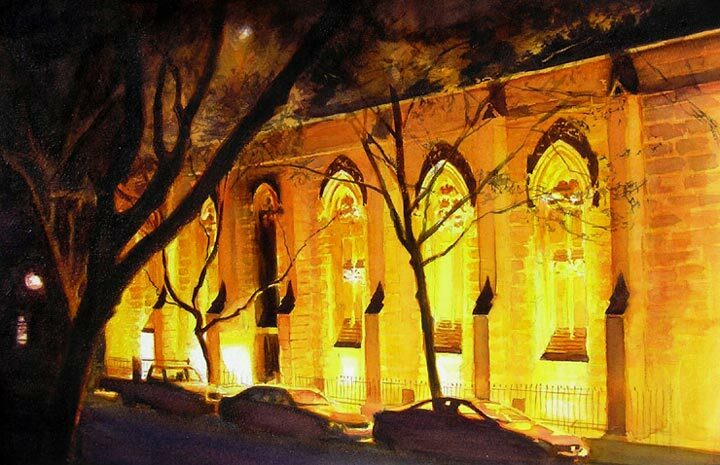 Night scenes really capture the mood, architecture and character of buildings. They portray the obvious and partially hidden aspects of forms. 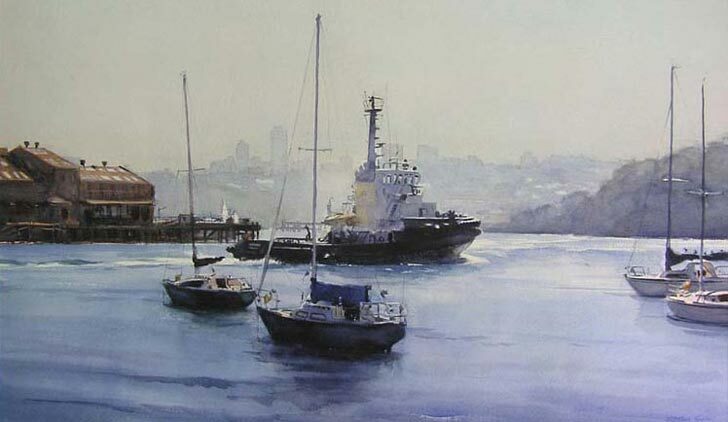 Watercolour is a wonderful medium for painting light. 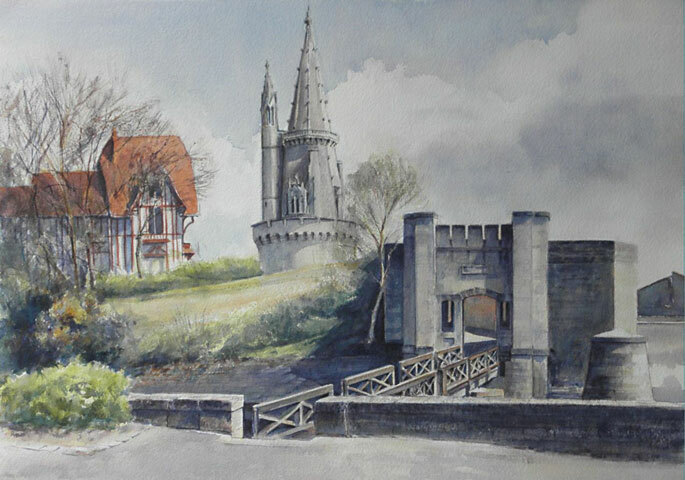 In 2009 I painted for a month in France, on the west coast and Bay of Biscay using the ancient port city of La Rochelle and island of ile de Re' as bases for daily painting adventures whilst opening an exhibition of my Australian paintings in the city of La Roche-Sur-Yon. It is always a pleasure to showcase this noble animal - whether trackside capturing the excitement of a photo finish or in a "jump off" at the local show jumping event. The horse is a unique and dynamic creature, each with its own personality. My hope is the same as of any artist - to view their first and last works, and gain some satisfaction from an indication that they have at least begun to master their chosen medium. 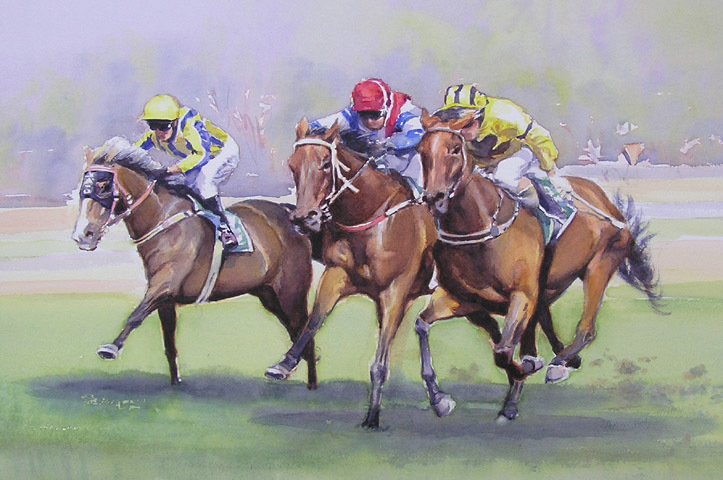 Please Contact the Artist for updates on the most recent paintings, future paintings, upcoming exhibitions, news and events as well as commissions. Read James Boissett's Bio or CV and awards in PDF format.